If there’s one thing everyone wants, it’s more time, and that’s exactly what we have this year. A once every four-year phenomena of the calendar known as Leap Year is providing us with 24 extra hours this February 29. For some, the day will come and go with little to show for it. However, with a little forethought, people can use the extra hours to make a difference in their financial lives. Financial advisors suggest that consumers dedicate this gift of time to tackling the financial tasks they may have been putting off. Prepare federal income taxes. Gather all 1099s, W-2s, and receipts related to eligible deductions. Whether filing on your own or through a professional, these items will be needed to prepare an accurate return. 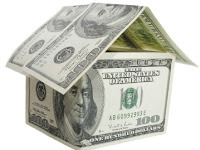 Create or organize a home financial center. Since the financial documents are out, create files for each category. This step will help you stay organized all year long, and will make preparing next year’s tax return much simpler. Review all insurance policies. The time to become familiar with insurance policies is not when you make a claim. Insurance is not something to buy and forget, as life changes often dictate adjustments to the policy. Make an appointment with your insurance provider to confirm that your current needs match your coverage. Review retirement contributions. Due to the payroll tax cut, working Americans now have extra money in their paychecks. The best use of this money could be increasing the retirement contribution at work. Make sure to maximize the benefits of an employer match and age-related allowable contribution increases. Order your credit report and score—With good reason, people are very interested in their credit score. However, many do not realize that the score is based on the information in the credit report. In spite of it being free through www.annualcreditreport.com, studies revealed that 65 percent of Americans had not ordered their credit report in the last 12 months. The credit score didn't fare any better, with 63 percent of respondents indicating they’d not ordered their score. Even though there will be a small fee charged to obtain the credit score, it will be money well-spent, as these three numbers dictate much of your financial future. Those who use the extra time afforded by Leap Year to accomplish these five financial moves will wake up March 1st with a well-earned sense of accomplishment. The efforts they put forth on this bonus day will yield rewards throughout the year. If you need assistance in putting your financial house in order, reach out to us today...call 800-560-4637.